(2016) This proposal includes the redesign of Shambhala Civilian awards as cloisonne enamel pins. This would make the awards more modern, wearable, and easy to understand in a larger context. The large triangle ribbons of the past were very expensive, as they had to be produced by hand. They also tended to look comical and undignified when wearing numerous awards representing a career of service. 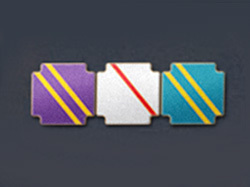 It is important that the awards themselves be quite simple in design, so that people could wear multiple awards together side by side in rows, but also so that awards could be worn beneath “crest” pins that represent one’s area of service, or affiliation. 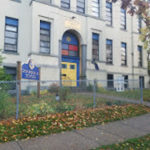 The primary anticipated impact of this project is to recognize the many individuals who have given their time to serve Shambhala vision and community and letting people know that their work has been noticed and appreciated.